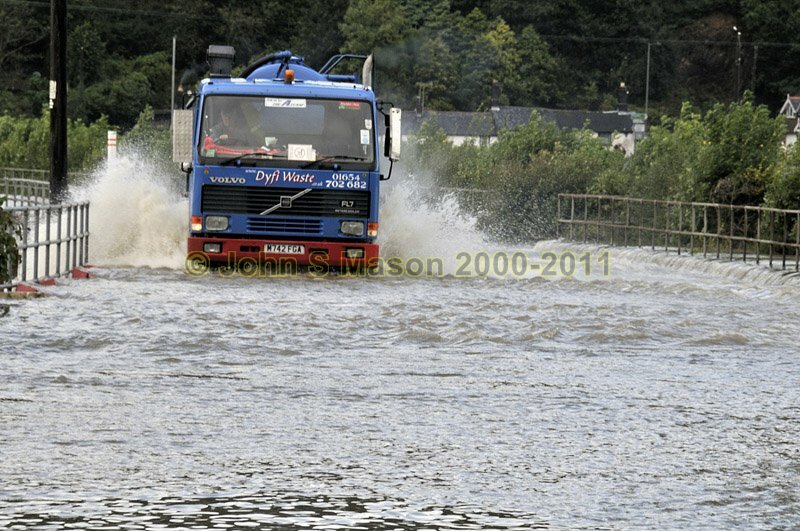 A tanker ploughs on through the floodwater near Dyfi Bridge - a frequent sight most years. Car drivers are not advised to try this! Product number 091059. Email me to enquire about this image: click HERE.